Seed and Kernel steam treatment: Sunflower seeds, pumpkin seeds, poppy seeds, sesame seeds, pine nuts, etc. Due to the potential presence of pathogens the process industry must utilize procedures to pasteurize raw seeds. The raw seeds are often heavily contaminated with yeasts, moulds, enterobacteraceae and spore formers. 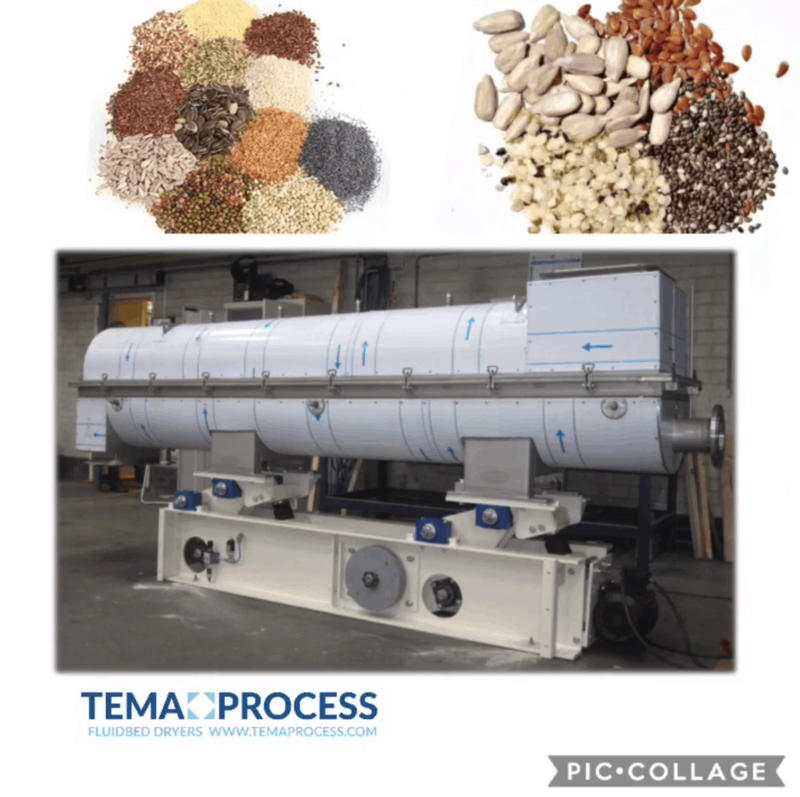 The Tema Process continuous steam pasteurisation process results in a reduction of the microbiological load. It is the preferred method in the organic industry. The steam condenses on the product surface and the condensation energy transfer kills unwanted bacteria.